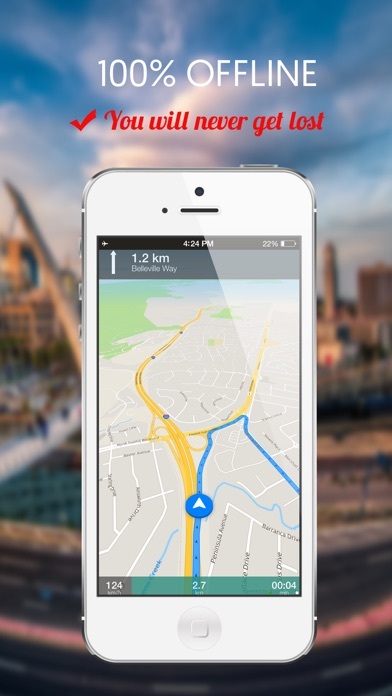 Costa Rica Offline GPS Navigation is developed by Travel Monster . 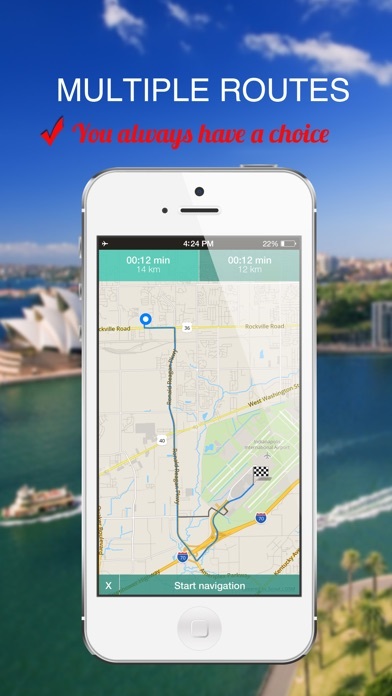 Travel Monster Costa Rica Offline GPS Navigation is a mobile navigation application which works completely offline. 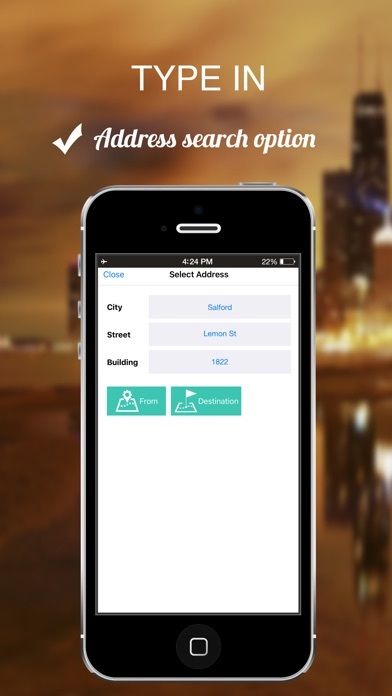 All map data is stored on the phone memory card for offline usage. 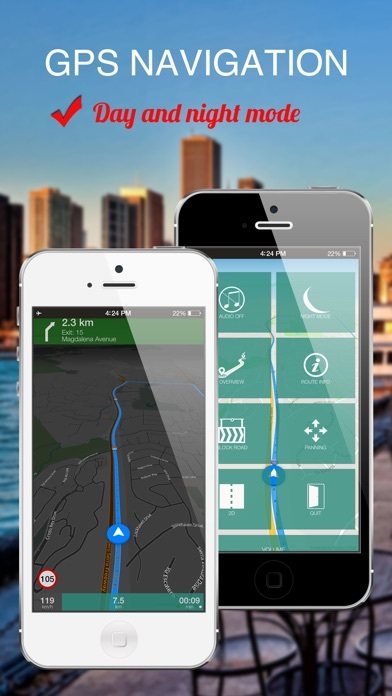 Costa Rica Offline GPS Navigation supports offline routing functionality including turn-by-turn voice guidance. Costa Rica Offline GPS Navigation app will display your position on a map using GPS sensor data, and provides precise route calculation, touch screen functionality and supports Points of Interest (POI). The app is completely offline and works without an internet connection. 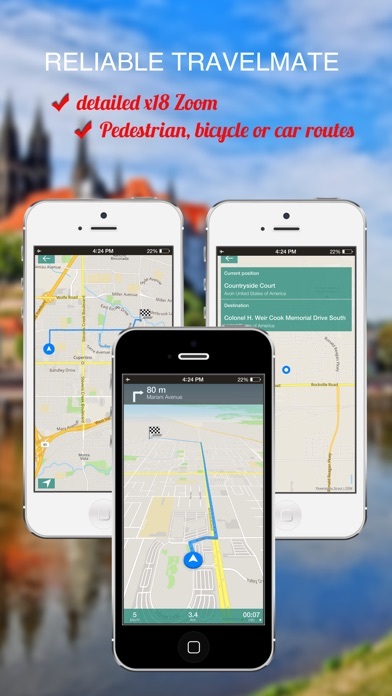 CORE APP FEATURES: - FAST, EASY and FULLY OFFLINE MAPS - Car, bicycle, and pedestrian navigation modes - Offline search for addresses and places (POIs) - Offline routing, re-routing, navigation, directions - Points of Interest, favorites, public transportation stops - Day/Night view modes - Lane guidance, speed limit display - Speed-dependent map zooming - Map alignment according to compass - Spoken directions in many languages - Complete offline functionality (store downloaded maps in the phone memory) - Compact offline HIGH DETAILED 17x ZOOM vector maps - GPX and navigation tracks support NOTE: * Continued use of GPS running in the background can dramatically decrease battery life. * Our App requires a internet connection once, only during the initial launch. It will work completely offline afte the update on launch.